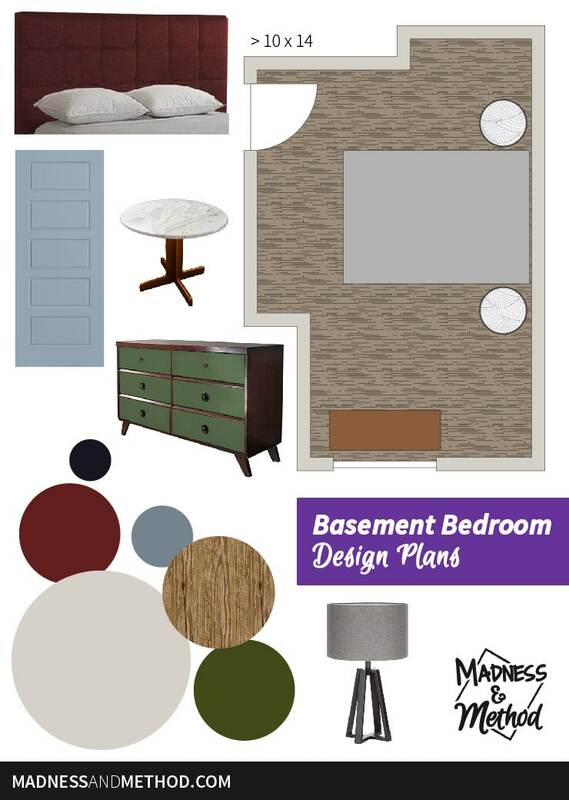 Are you looking for bedroom inspiration? 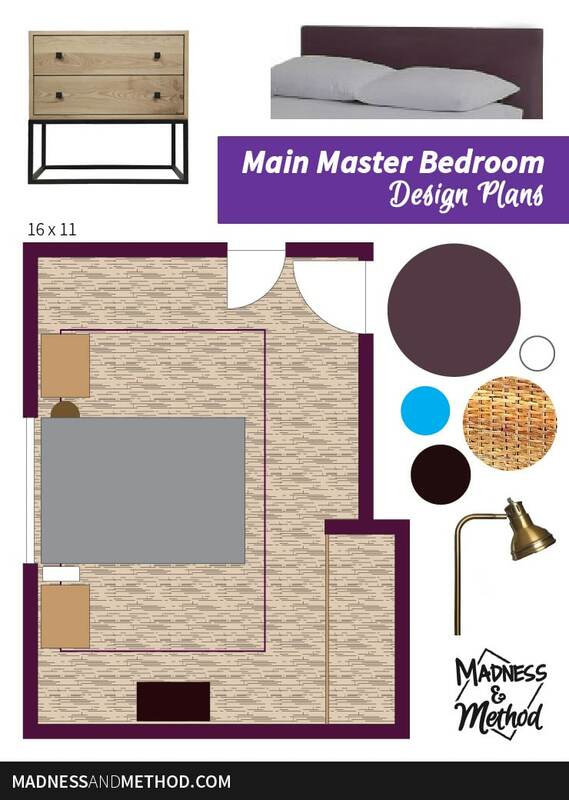 See the design plans and layouts for two master bedroom makeovers and follow along with the renovation projects! If you’re just visiting me for the first time, hello and welcome! 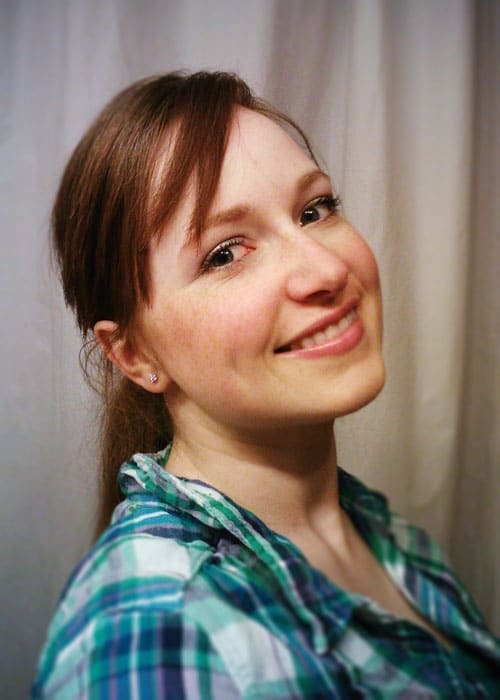 My name is Nicole and I live up in Northern Ontario Canada, and this is not my first crack at the One Room Challenge (see all ORC posts here). In the past, I have successfully finished building a basement bathroom, updated my brother’s bathroom and renovated our garage. 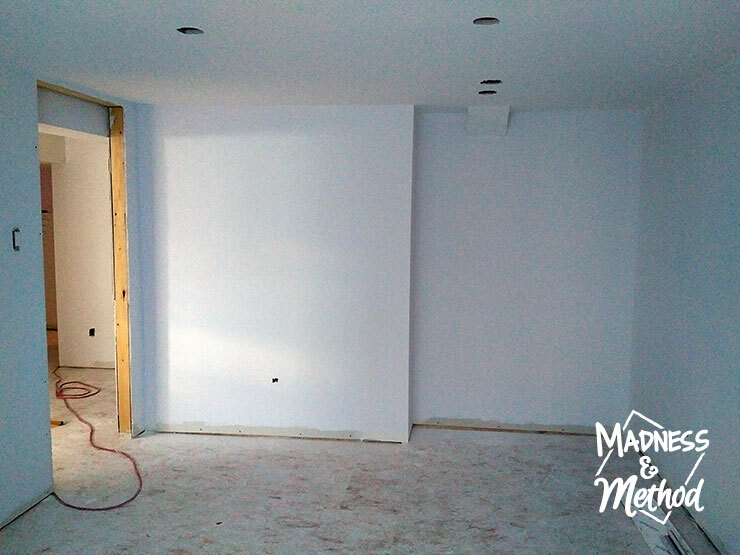 Last fall we tried to get our basement kitchen finished at our second home, but unfortunately, due to scheduling conflicts, delays and nothing lining up, it didn’t really change at all. We call our second home our rental renovation since we’re creating two apartments, planning to rent the upstairs and live in the basement unit part-time and air-bnbing when we’re not there. Essentially we had the entire basement ripped out, re-framed and rebuild everything, and now we have a nice space to work with! 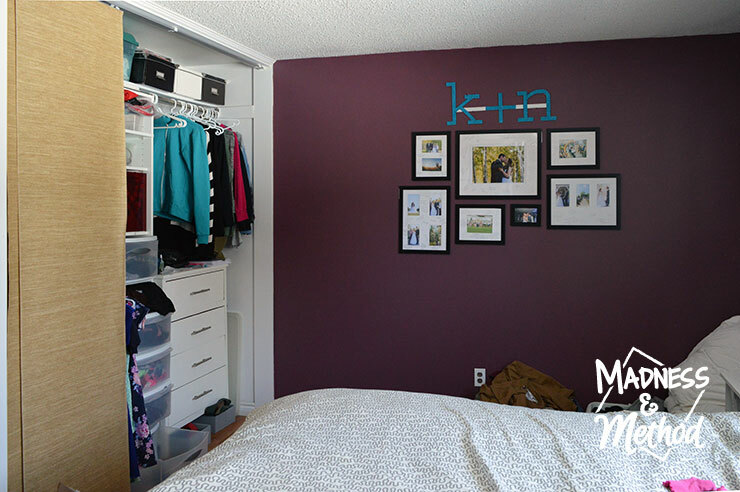 There’s a super-mini closet on the first wall when you come in. A nice large wall where we’ll be placing the bed. And a new 4×3 window that really brightens up the space! 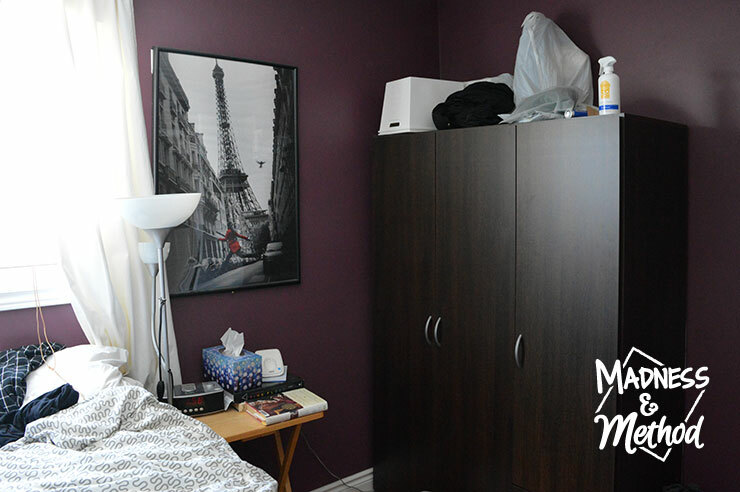 There’s one bump-out into the room (seen in the photo above) and that’s for the closet in the other bedroom. 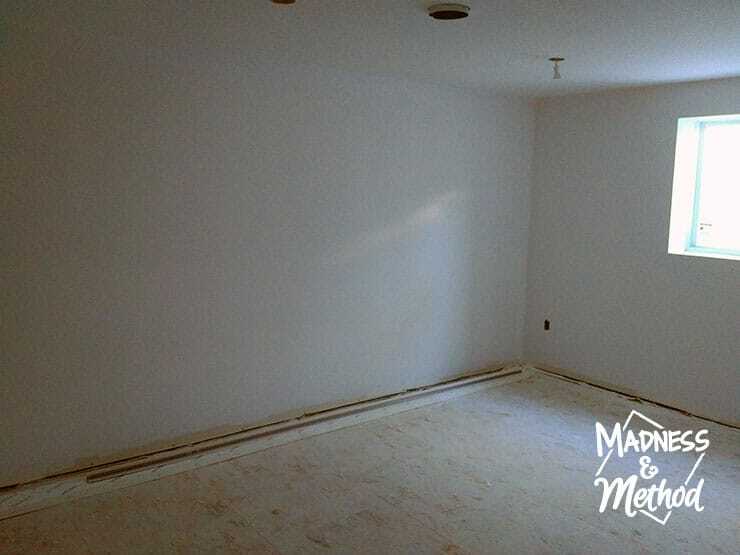 I was originally going to have this room a big rectangle, but I didn’t want to take a lot of space from the smaller (10×11) bedroom with a closet, so moved into this room instead. I came up with a whole home colour scheme a few months ago, so it’s been pretty easy to work off of that palette for each individual room. 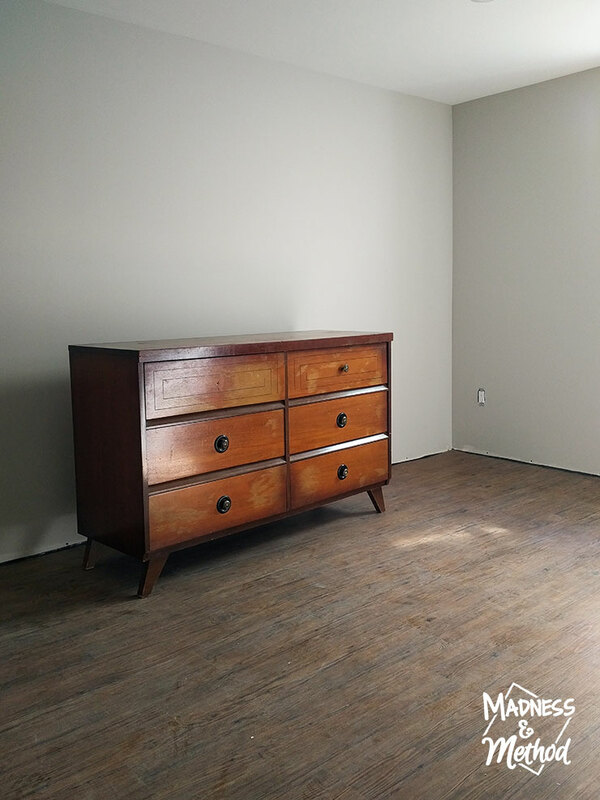 We already have the bed (that we’re using upstairs as we finish the basement), two round side-tables that we’ll use as nightstands, a lamp (that I may swap out) and a dresser. 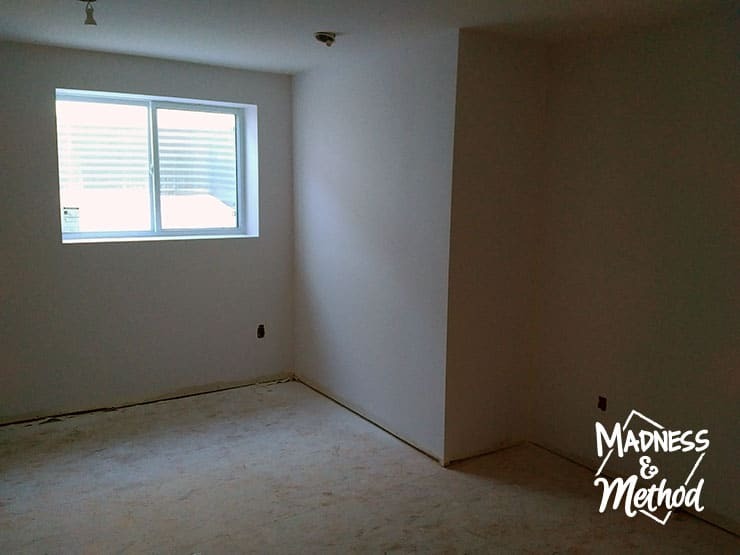 Essentially, the walls and ceilings have been painted and the floors and doors are installed. We just need to install the trim, paint the door + add the hardware and bring all the stuff in! (Oh, and do that for all the other rooms at the rental renovation at the same time, no biggie…). 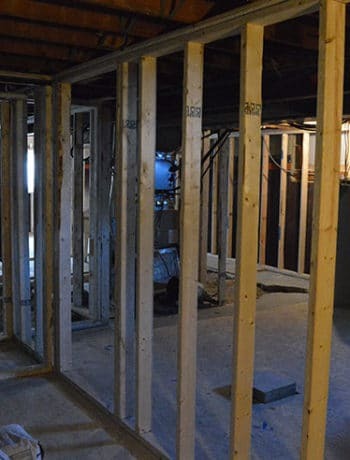 So really, we’re trying to finish our entire basement apartment and a lot of the tasks (ie: casings/baseboards, painting doors and bringing stuff down) will be happening in all the rooms. I call it the Moody Master because it’s painted a dark shade of purple/burgundy (and you can see the last photo tour of this room here). 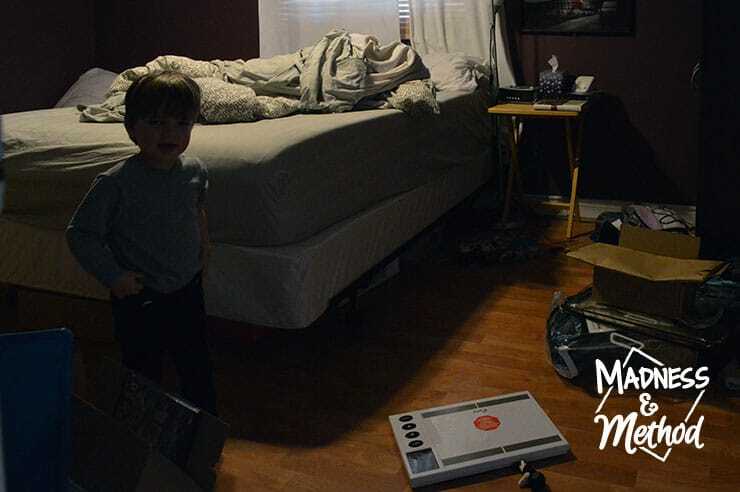 It’s not normally this messy – but you see the toddler in the photo above had a lot to do with the additional messes (like the scale on the ground, refrigerator magnets, etc.). I like a super dark bedroom when I sleep, and we don’t normally open the curtains EVER so it’s usually pretty dark all the time (and because we need to replace a bulb too, whoops!). 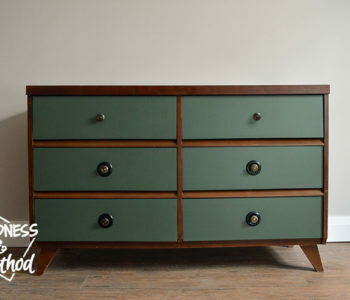 The main thing I hate(d) about our bedroom was the large dresser that stored the Husband’s stuff. Our bedroom actually used to be full of dressers, but after purging and minimizing the last few years (and renovating our closet), I now like the open/blank space. Since my photos were super dark, I decided to open the blinds to show the room off a bit more (notice how my nightstand is just a folding tv tray!). The Husband’s dresser is on my side, and sometimes he leaves the doors open and it encroaches my zone… you know? 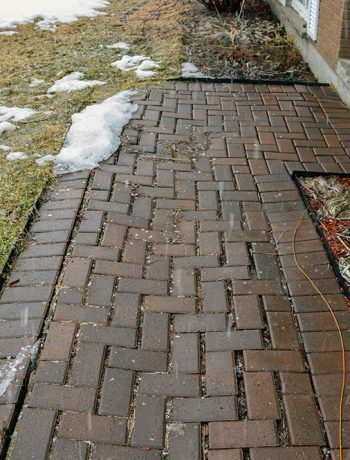 One area I’d like to address is our “drop zone” to the left when you come in. We had a nice wedding shelf area (and the old display cabinet from our living room), but all the horizontal surfaces just attract clutter. 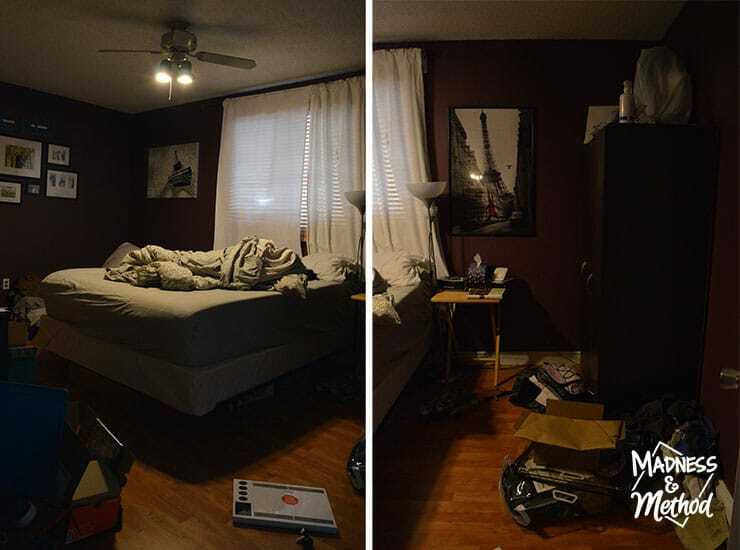 The Husband keeps his dirty clothes on his side of the room, and apart from the huge mess you see when you walk over there, I actually don’t mind it too much since the bed hides it all when you look in, ha! 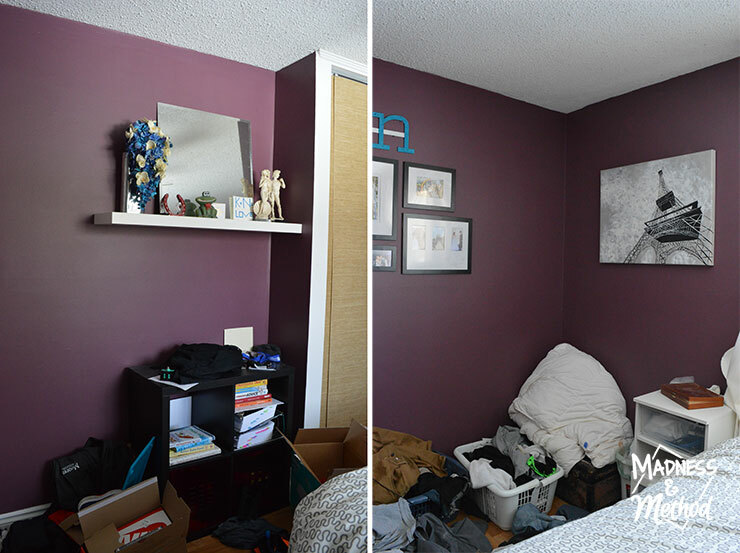 Now, I’m not going to be changing a lot in this room, because I LOVE the paint colour, I love our wedding gallery wall and I love our updated closet (but I will bring some of the Husband’s stuff in there because his wardrobe is gone now). 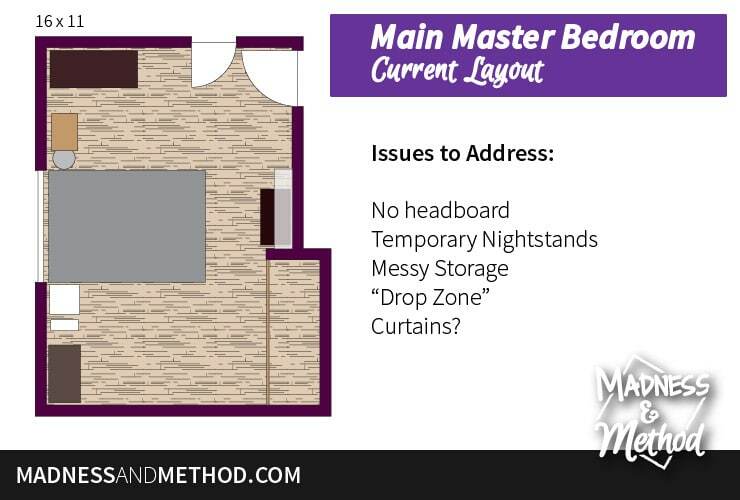 And the layout will pretty much be staying the same (apart from removing and moving a bunch of furniture/stuff). We had the bed on the other wall before (next to the closet) and it’s just a bit too tight for us to access the closet AND it’s kind of too empty on the other side. Address curtains? Add rug? Remove shelf? 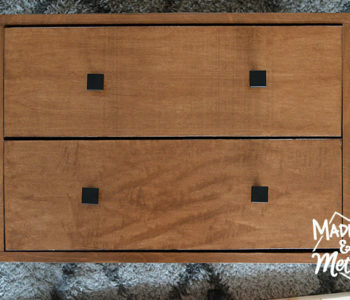 I saw and fell in love with McGee and Co’s Owen double nightstand, so will be attempting to make a smaller version myself (and mocked it up in the graphic above). I’m also making sure our headboard will fit under the window and have already gotten rid of the wardrobe AND picked up a new cool lamp* (but may swap it out for the one in the rental renovation bedroom). * I had a double-light floor lamp before, but all our outlets were full and I could never plug in both lights at the same time. 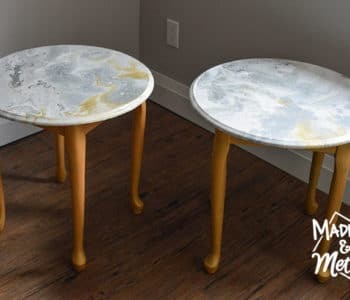 Catch Up on the One Room Challenge! 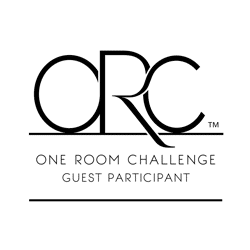 Remember to check out all the other linking participants and featured bloggers over on the One Room Challenge website.